Location: Seaside, Oregon on the coast. The park is enclosed in the Seaside Parks and Recreation Building. Directions to address Seaside Skatepark in Oregon: Head out west to the beach. Turn East off of Highway 101. Go to 1140 E. Broadway and you are there! Description: A double halfpipe with a spine in the middle. It is constructed out of wood. Review: If you were planning to spend some time in Seaside, Oregon, this would be a fine place to go in order to have something to skate. It is enclosed in the Seaside Parks and Recreation Building. 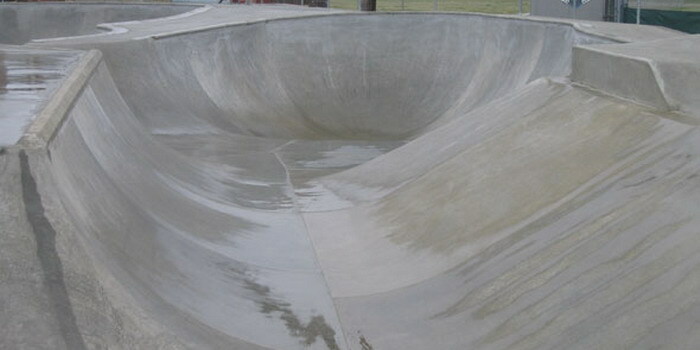 Although there is not a lot to skate, it might be something to do on a rainy day. HOURS: As of this printing, the Seaside Parks & Recreation Department had not finalized the summer hours. We were told, for right now, that they are open for skating on the weekends from noon until 4:30. We would suggest that you call them at (503)738-3311 and confirm the hours of operation before you head out.